UN - 9 June 2014 – The United Nations Mission in South Sudan (UNMISS) today inaugurated a new site adjacent to its base in Malakal to offer protection for civilians uprooted by conflict and to relieve the congestion inside the world body’s compound, which is hosting an estimated 19,000 people. “As long as people feel afraid, they can know they have our protection,” Hilde F. Johnson, the Secretary-General’s Special Representative and head of UNMISS, said during the inauguration of the protection-of-civilian site. UNMISS threw open its gates to all unarmed civilians facing an imminent threat of physical violence when the crisis in South Sudan erupted in mid-December 2013. Over 93,000 internally displaced persons (IDPs) are currently living in 10 of the Mission’s compounds across the country. 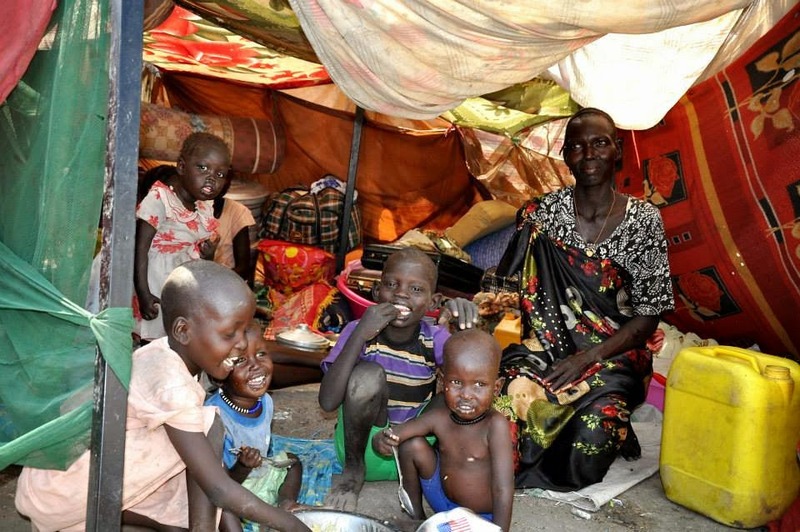 The new facility in Malakal, the capital of the state of Bor, has an area of 100,000 square metres and can accommodate between 8,000 and 9,000 IDPs, the Mission stated in a news release. Of the estimated 19,000 civilians currently living inside the UNMISS facilities in Malakal, slightly over 3,100 had already moved to the new site as of last Saturday. A new protection site adjacent to the UN House complex in the national capital, Juba, has also been opened. A large-scale relocation of IDPs from the Mission’s Tomping compound to the new site is expected to take place during the second half of this month. The protection of civilians was given the utmost priority when the Security Council recently renewed the Mission’s mandate, along with addressing the security, humanitarian and political crisis that has gripped the world’s youngest nation. The Mission also noted that South Sudanese President Salva Kiir and former Vice President Riek Machar were supposed to meet in the Ethiopian capital, Addis Ababa, today, as agreed to in the 9 May document that aimed to end the fighting. As part of the May agreement, the two South Sudanese officials agreed to meet on a monthly basis to review progress in the implementation of the accord, which followed a 23 January Agreement on the Cessation of Hostilities that failed to stem the conflict. “We really hope that progress will be made so that there will be full compliance with the cessation of hostilities agreement and major steps are taken towards comprehensive peace,” said Ms. Johnson. “Ultimately, it is peace and stability that will permit people to feel safe enough to return to their communities and neighbourhoods,” she added.